Could be, though? 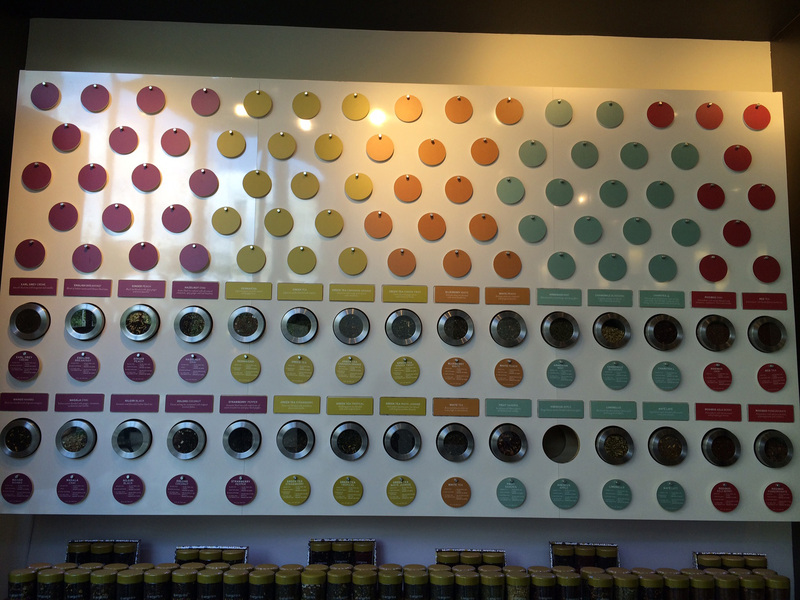 Actually it’s the tea display in Argo Tea. I went into their Flatiron branch (just off 23rd Street and 5th Avenue) on a hot afternoon recently. I love tea. Have I said that before? So when it’s hot, I actively look for new and obscure iced tea varieties. I was excited at the sales pitch, where the nice man let me smell the tea, with a waft of the lid to exaggerate the effect. All very dramatic with their Damien Hirst inspired wall display and the wacky tea based cocktails. I tried hibiscus and apple. Verdict? Just like drinking a cheap squash from the 1970s. Not good. Sorry, Argo, but I won’t be back. Shame. Loved the spots. Categories: Food | Tags: Argo Tea, tea | Permalink.